As the most recent entries in the series, Devil May Cry 5 will feature multiple playable characters, but it seems like the new entry in the Capcom series will take things a bit further, judging from the game’s PlayStation Store listing. Multiple regions’ PlayStation Stores, including US, Canada, UK, and Italy, mention a 2, 3 players online multiplayer option for Devil May Cry 5. Online multiplayer is mentioned in the descriptions of both regular and Deluxe editions. 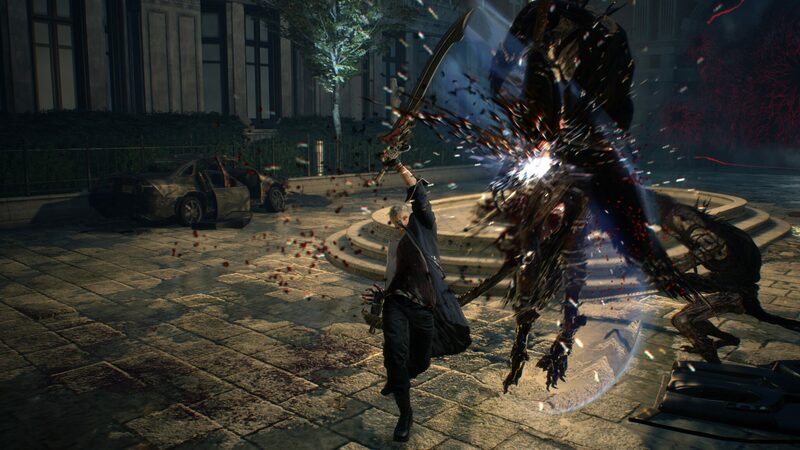 Devil May Cry 5 having a multiplayer option would be a first for the series but not for character action games. Bayonetta 2 also features one which works quite well. Considering the Bloody Palace will surely make a return in the entry in the series, it wouldn’t be surprising to see a co-op or versus mode variant for it. Even without multiplayer, Devil May Cry 5 is setting out to be one of the best entries in the series, building upon the features that fans have come to love. Devil May Cry 5 launches on March 8th, 2019 on PC, PlayStation 4 and Xbox One. We will keep you updated on the game as soon as more come in on it, so stay tuned for all the latest news.